Astraeus are distinctively shaped mushrooms quite similar in appearance to the unrelated species of Geastrum, but have a much tougher texture, and persist for much longer, repeatedly opening and closing in response to available moisture. Ectomycorrhizal with oaks. Important identification characters: identification straightforward. 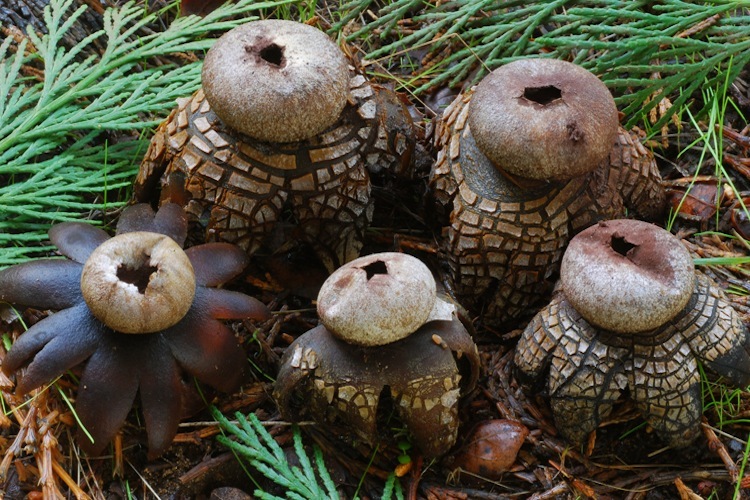 Fruitbodies similar to Geastrum, but not hygroscopic, tougher and woodier.